The days that social media were only used for sharing and liking are long gone. Social media is becoming bigger and will be more integrated into other services. Social media are transforming into full service (business) platforms, used for marketing purposes, e-commerce and customer services. 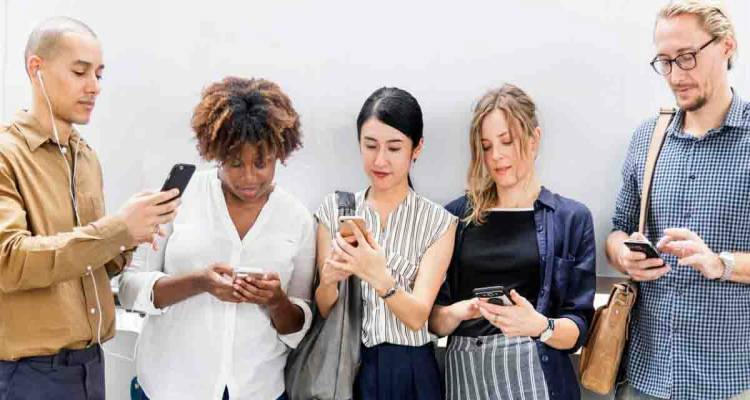 Even though social media platforms offer more to their customers, customers are also more demanding in terms of how they want to communicate with businesses. As technology becomes more advanced, high speed and immediacy become the new standard. In the current IoT (Internet of Things) world, people are always in contact with each other and expect to get their answers immediately. And this is the same regarding businesses, so businesses need to react. How to react to this as a business, will be discussed later in this blog. It is clear customers expect businesses to be available at any time of day via all the messaging channels they prefer. For example, via Facebook, Twitter or WhatsApp. But how many businesses are actually ready for this? Research showed that 84% of European businesses think that customers will have higher expectations for customer service via social media in 2019. But despite this high percentage, research has also shown that a lot of these businesses will not act upon their predictions. The following numbers from a customer experience trends report for 2019 shows what messaging channels are currently used mostly for customer services. As these numbers show, the most used customer contact channel in Europe, is Twitter. While Facebook and WhatsApp are the biggest social media platforms in Europe, almost half of the businesses are not offering customer service via these platforms. As a result, the importance of multichannel customer services will increase in 2019. And how can your business anticipate to that? Omnichannel messaging is the answer. Omnichannel messaging is a multichannel approach for sales, marketing and customer services to interact with your customers wherever they are. For example, send your database a SMS about an upcoming sale or offer a 24/7 customer service via Facebook Messenger. CM.com offers a Business Messaging API and makes it possible for your business to interact with your customers via the messaging channel they prefer. The API makes it possible to communicate with your customers on all messaging apps via just one dashboard. CM.com provides messaging channels such as WhatsApp, RCS, Voice messaging, SMS and Voice calls, Viber, Facebook Messenger, Twitter, Telegram, iMessage and more. By using omnichannel messaging you provide your customers with a customer-centric experience.